A self-taught photographer, Kaznecki said he attempts to capture with his lens what others might miss in Acadia. And now that rainy-day photo will be on the 2017 Acadia National Park pass. The photo he snapped won the 2017 Acadia National Park pass contest and will be featured on next year’s visitor’s pass to be purchased by thousands of visitors from all over the country. 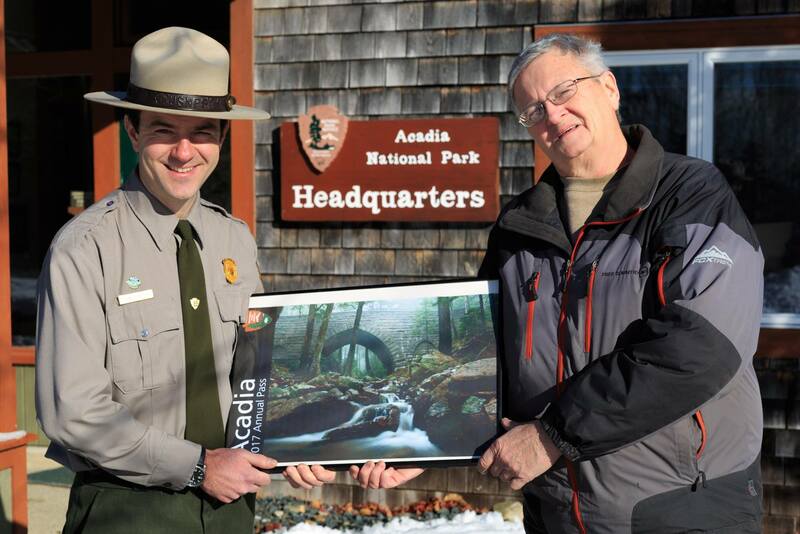 The park received more than 200 entries from 20 states for the Acadia park pass contest. Kaznecki said he was stunned when he received an email on Dec. 2 from the park, declaring him the winner out of more than 200 entries, one year to the day he took the photo. “I was totally flabbergasted and completely shocked,” he said. “It is marvelous. A lot of people are going to enjoy that photo, just as much as I enjoyed taking it.” For the photo, he used a standard lens on his Nikon D7000. He set the ISO at 100 and the shutter was open for 5 seconds, he said. As the 2017 winner, Kaznecki will receive an America the Beautiful interagency annual pass, with an $80 value, and able to be used at over 2,000 federal recreation areas nationwide. The annual Acadia National Park pass goes for $50 (available for sale locally at half off in December), while the 7-day park pass is $25. The lifetime Senior Pass that gives US citizens 62 and older access to federal recreation areas is slated to increase soon, from the current $10 to $80 with Congress’ recent passage of the National Park Service Centennial Act. 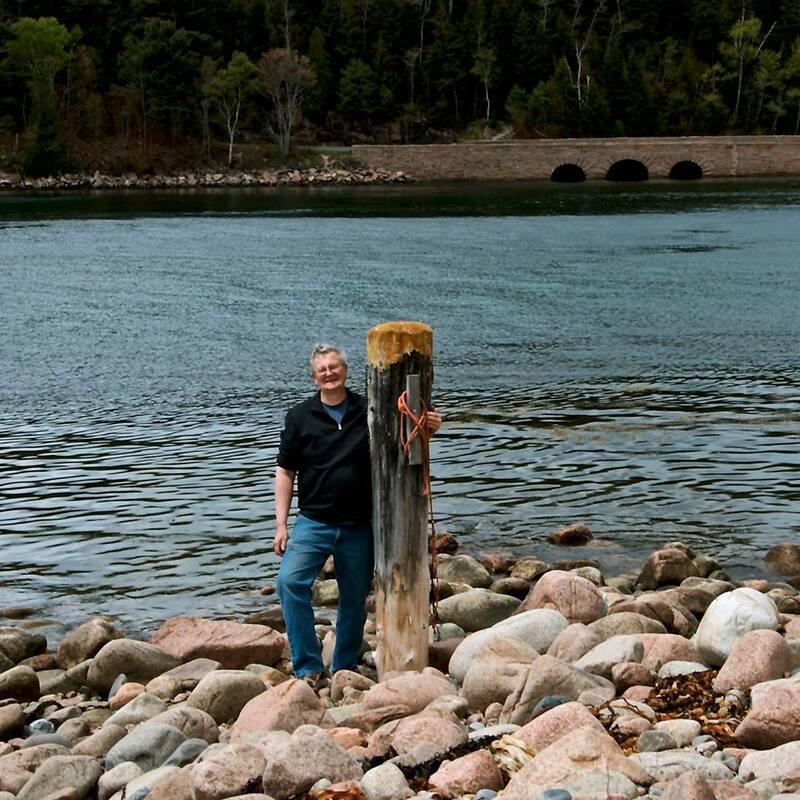 Kaznecki first visited Acadia in 2011 and enjoys it so much that he is planning to sell his home of more than 30 years in South Thomaston and then move to the area of Bar Harbor. He said he first visited the park out of curiosity but says he experienced a “spiritual feeling” that still remains with him. He takes most of his pictures of Acadia National Park by himself at night; it was kind of unusual to win the contest with one taken during the day. 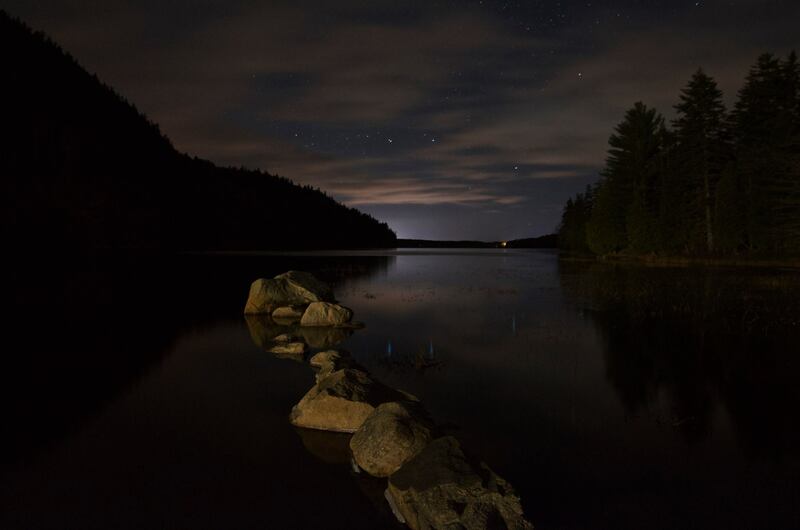 Acadia’s night sky is ideal for shooting the Milky Way, or the stars reflecting on Long Pond or other water, he says. He visits the park so much that he put 78,000 miles on his MINI Cooper after purchasing it new in 2013. He’s also made good friends. 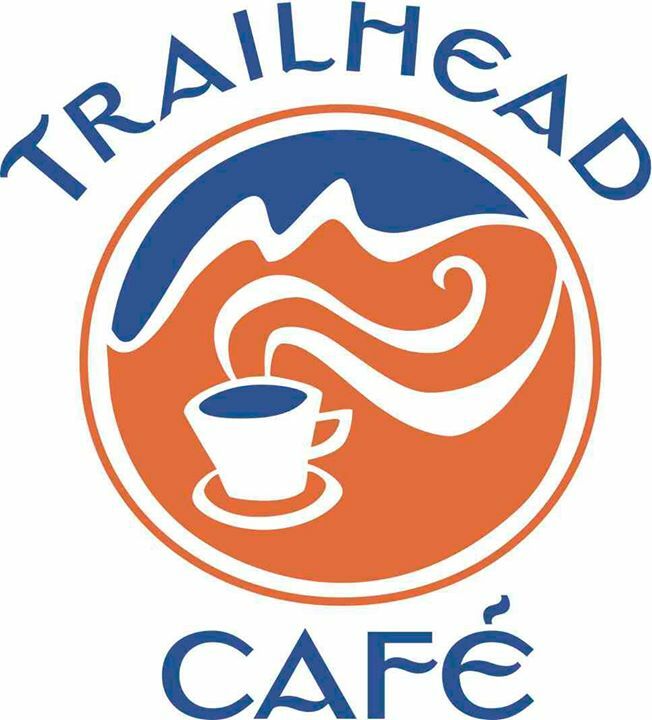 After one night of photography, Kaznecki walked into The Trailhead Cafe in downtown Bar Harbor, had a cup of espresso and came to know the owners, Matt and Angel Hochman. For the past couple of years, he’s attended the cafe’s “Got No Place to Go” Thanksgiving Dinner, when the Hochmans close the cafe to the public and invite people without local family to visit with them at the café for a turkey meal at no charge. Bar Harbor locals stopping in at The Trailhead Cafe on Cottage Street for breakfast or brunch may see some of John Kaznecki’s photos on display. Several of Kaznecki’s framed photos, including the one to be on the visitor’s pass and the night photo of Echo Lake, are on the walls of the cafe and for sale, with proceeds to be donated to the Black Rose Fund to benefit Mount Desert Island High School Drama. Kaznecki is good at photography partly because he is skilled with his hands. A machinist off and on for 30 years, he also restored cars and trucks for a living and repaired winches, bait boxes and other equipment for people in the lobster industry. Every once in a while, he will meet a fisherman in Bar Harbor or Swan’s Island who recognizes him because of his repair work. He said he is retired now and wants to pursue his photography. Kaznecki’s wife died in 2010 and his grown children live out of state. 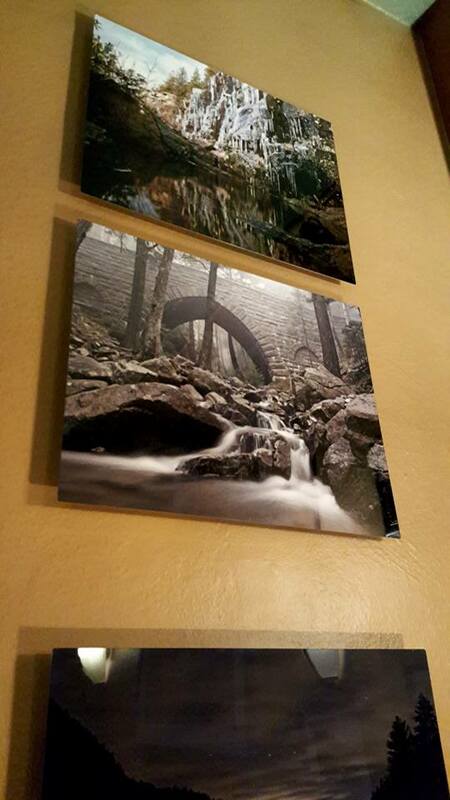 His photos are available on his Facebook page, as well as on a site that allows the photos to be turned into shower curtains, pillows or other fine objects, and at The Trailhead Cafe. “I do travel the state and I always end up back at Acadia,” he said. “At Acadia, I have the salt water and I have the mountains. It is the best of both worlds. Acadia National Park has a way of inspiring such dreams. 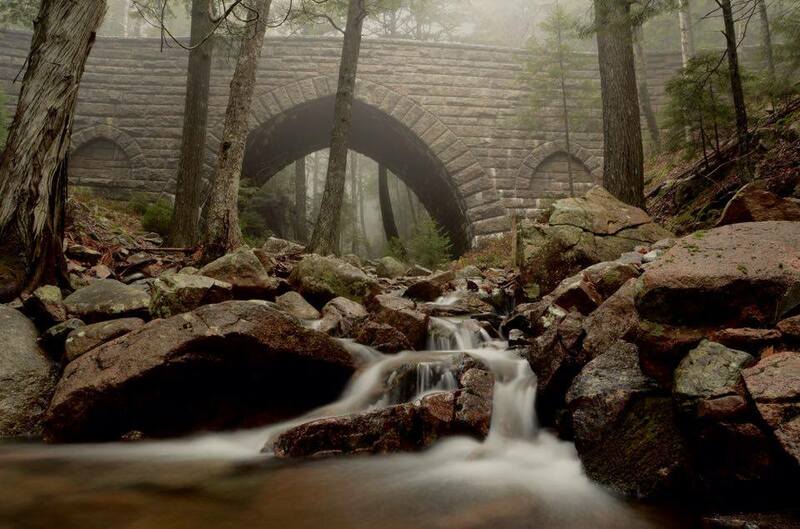 And dreams can come true, as when Kaznecki’s “Enchanted Forest” won the Acadia park pass contest.